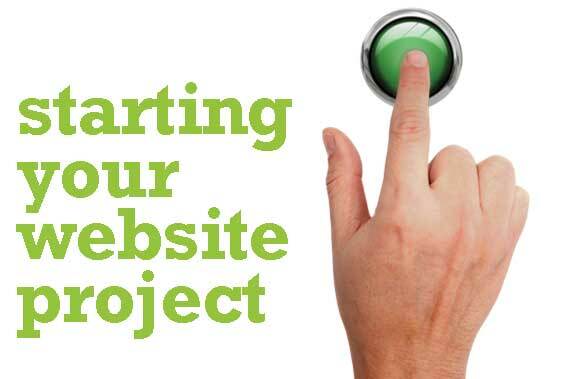 You’re about to develop your organization’s first website or overhaul the one you have. You start thinking about the content – text, illustrations, downloadable materials, photo galleries, the blog – and how to present it all. But wait! Before you even get to that stage, it’s important to step back and get a wider view. You need to identify your site’s purpose and the kind of results you expect. Your site has to do what you want it to do. Otherwise, what’s the point? Figuring out how to get those results determines the site’s structure. And the structure will shape the content. Here are 9 key questions that will help you lay the foundation for developing a manageable and affordable website project. It’s important to distinguish between your business goals and the goals you set for your website. Your site will be developed to support your business goals in specific ways, based on the questions that follow. 2. Who are your primary and secondary audiences? Your audience consists of both the people currently using your services, and new users you want to attract. Your primary audience is your core users, such as members or customers. But you likely have secondary audiences such as peers, funders, government bodies, or the general public. Consider how to address each of these. You may find it useful to create a “user persona” (or multiple ones) to define your audience(s). Age, gender, employment and social status, language skills and special needs are some elements you could use to build the personas. If you have a number of different user personas, think about designing multiple communications approaches that will appeal to each of them. 3. How does your site fit into your marketing campaign? A website is usually part of a wider marketing strategy or campaign. Your site by itself is not a marketing strategy. A website can range from an active online hub that manages all your needs, to a page of simple information that helps people find you in the real world. Large or small, your site needs to support your overall goals and strategies. In order to determine the scope of the work involved in developing your site, it’s important to know how you want to use it. 4. 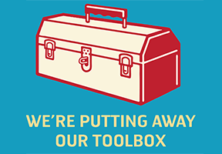 What communications tools or channels are you going to use in your marketing and where does the website fit in? Communications tools can include email and e-newsletters, social media, print advertising, direct mail, or person-to-person and business-to-business networking, including word of mouth. A website can also contain communications tools such as online forms, a blog, or newsletter sign-ups. Sometimes all your tools are designed to drive users to your website to “close the deal”. Other times the key connection with your audience happens elsewhere. What are the main things your audiences should know and remember about your organization and services? Your key messages can sometimes be distilled from your mission statement. Your messages should communicate what services you provide, your core values, and be presented in language that reinforces the themes. Multiple key messages can address specific audiences or services and should work together to create an overall brand message. 6. What are your desired outcomes for the site, both general and measurable? Another way of looking at this is: if the site is doing what you want it to do, how will it affect your business, and how will you be able to gauge success? Desired outcomes for the website are not the same as your business goals. You need to look at how your website supports your larger goals, through specific services or functions it provides. Your site may offer online appointment booking, a link to make charitable donations, a downloadable info sheet, or a newsletter signup form. How does each of these functions contribute to your business plan, and how can you measure their success? 7. What are your calls to action? These are developed through assessing your desired outcomes, marketing strategy and key messages. You may have one main desired outcome (for a client to make an appointment or a user to make a charitable donation). Some of your users may be ready to do that immediately, and you will develop clear, directive calls to action for this main goal. Other users may want more information first. They may want to sign up for a newsletter, download an info sheet or read your blog. Secondary calls to action pave the way for the primary ones. They highlight your site content, reinforce your key messages, and help you determine interest. If a user makes contact with you, it can give you a chance to follow up. 8. What special functions does your site require? 9. What is your capacity and commitment to work on this project? Website projects take time to develop. And, they require ongoing management and maintenance once they’re launched. Be sure to build this into your expectations and into the scope of site you aim to build. At Working Design, our first step in helping develop your site is to understand what you do. Your answers to these nine questions will guide us. Next, we work together to arrive at a comprehensive content outline. The outline lets us know how big the site will be and all the things that will go in it. The next chapter in our series, “Starting your web project: The content stage”, will help you assess and organize your content.